Crescent City Sound Chorus - 11/26/2018 - Guest Night - Want to Sing for Christmas? Guest Night - Want to Sing for Christmas? Do you just love singing for Christmas? We do, too! 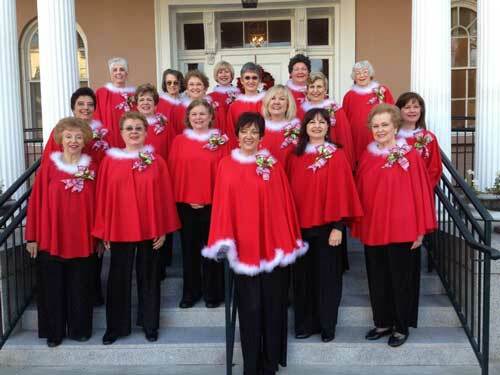 We invite area women of all ages who can sing to sign up with the Crescent City Sound Chorus on November 19 at 6 pm. Rehearsals are November 19, 26 and December 3 from 6:30 - 9:30pm. Guest performers will be able to hold the music at performances and sing with the chorus at the pro bono performances we do throughout the area, along with our annual Caroling in the French Quarter. Register by emailing membership@crescentcitysoundchorus.com so we will have a book for you. No need to be a member to sing with us on this project.